"The individual stories are powerful, and given space to develop without much interference." In June 2006, Dan Rather announced he would be leaving CBS before the end of his contract after the network declined to renew his position as a full-time correspondent for 60 Minutes. Within a month, as the Los Angeles Times reported, he had signed “a deal to produce a weekly news program for HDNet, a high-definition channel co-founded by Dallas Mavericks owner Mark Cuban.” According to the channel’s news release, Rather had free rein to explore any topic that interested him, without interference or censorship. 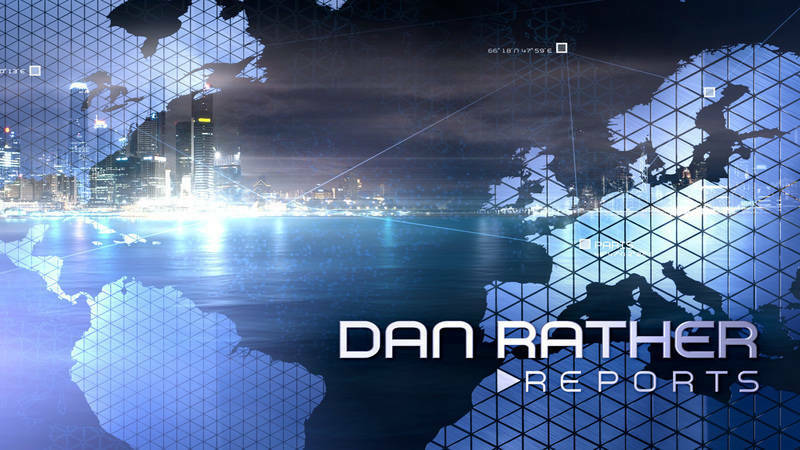 Mark Cuban explained that "now that he is finally released from the ratings-driven and limited-depth confines of broadcast television, I am excited about the impact Dan can have on the future of news." The new hour-long program called Dan Rather Reports was said to include “hard-edged field reports," interviews, and investigative pieces. Producer Dana Roberson remembers how Rather and producer Wayne Nelson called her in the summer of 2006 to ask her to join them in this new venture. The small team started right away "in a tiny little office on 57th Street and near Park Avenue, like four or five of us packed into 300 square feet, maybe, if that much." They immediately started working on format, topics etc. "We were really brainstorming on what’s the show going to look like? What’s the format going to be? Are there going to be other reporters or on air people or will it just be Dan? How do we tell these stories, you know, if it is just Dan, which it was?" One of the biggest adjustments was that they did not have the infrastructure of a CBS in terms of research facilities, resources, etc. But the team, and especially Rather, was very excited to work for what was "a true start-up." The mood was one of excitement and enthusiasm at the possibility of "reinventing ourselves" but also a sense of responsibility to make it work for Dan. "Rather and his crew tackle meaty, challenging stories . . . often devoting the full hour to a single topic." From 2006 to 2015, Dan Rather Reports aired close to 300 stories, more than what Rather had done with 60 Minutes or 60 Minutes II. The show earned praise for its quality and the type of story it aired. It was nominated for several awards and won a handful over the years for stories ranging from child prostitution in Portland to counterfeit prescription medication. The limited audience of HDNet as well as the lack of promotion, however, remained a problem, as Mother Jones reported in 2011. Brian Stelter, media reporter for the New York Times, explained that "what [Rather] is talking about, more people should be talking about," but by 2011 he hadn't written about the show since it launched. Women forced to give their babies up for adoption.